And Doom 4 is on the way! Wolfenstein: The New Order will be available on May 20 in North America, May 22 in Australia and May 23 in Europe according to an action-packed new trailer. 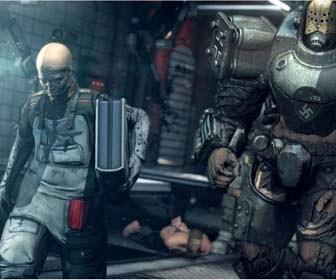 Bethesda's upcoming shooter will be available on PS4, Xbox One, PS3, Xbox 360 and PC on that date, according to the video below. But that's not the most exciting part. Additionally, pre-ordering the game will grant you access to the beta for the long-absent Doom 4, which has apparently been retitled "Doom".